RALEIGH, N.C. (WNCN) – Facebook users are being swept up in the latest on-line trend called the “10-year challenge.” People will post side-by-side then-and-now photos, but some say there’s a dark side to it. Facebook is the ultimate “Big Brother” surveillance device. Those using it readily participate in feeding its enormous appetite for data without realizing they’re being spied on. For many, looking at photos from the “10-year challenge” shows how people have aged. “I think it’s just fun,” said Facebook user Brennan Elms. Brendan Hill took the 10-year challenge. He said he wanted to see the changes he’s made in 10 years so he could see how he grew as a person. But, the side by side photos are also perfect for data mining because they’ve created an easily accessible data base side-by-side comparison photos taken a decade apart, as tech author Kate O’Neil said in a recent article in Wired. 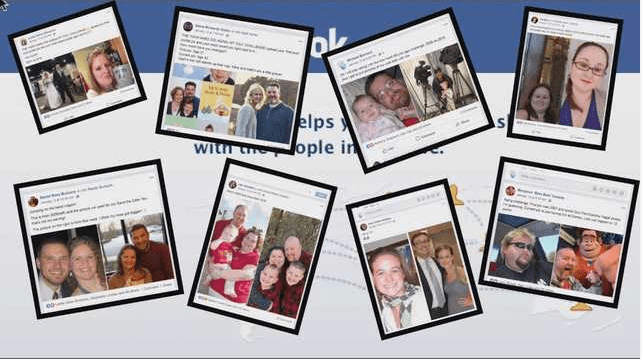 Local internet security expert Craig Petronella said there’s a reason why Facebook wants photos with a the 10-year gap between them. For years, people have posted pictures to Facebook never realizing that Facebook was collecting biometric facial data. Millions have done it, and Facebook loves it. “Facebook has become a data mining company — like Google and Amazon. They’re all collecting personal details in our daily lives,” Petronella said. Facebook’s tracking to allows it to use its artificial intelligence systems to analyze behavior, which is then sold. “Companies want that information so they can create digital marketing ads that will be more aligned to what you are buying,” Petronella said. People are starting to notice. Facebook user Nicole Chappell said “ads will pop up on your screen. Sometimes like, I’ll say, ‘I want Boston Market,’ and a coupon pops up,” she said. Chappell knows she’s being targeted, but is OK with it. “It’s creepy but it does help out,” she said. And it’s not just advertisers who want that Facebook data. “Law enforcement: their number one tool is Facebook because it’s so powerful to figure out data profiles on people,” Petronella said. Younger folks are said to be less likely to object to Facebook’s data mining. “I’m not worried about that, but they probably are (data mining),” Hill said. For those who’ve grown up with the internet, sharing data is a way of life. Knowing this, are you more or less likely to participate in the “10-year challenge?” Head to CBS 17’s Facebook and Twitter pages to vote.